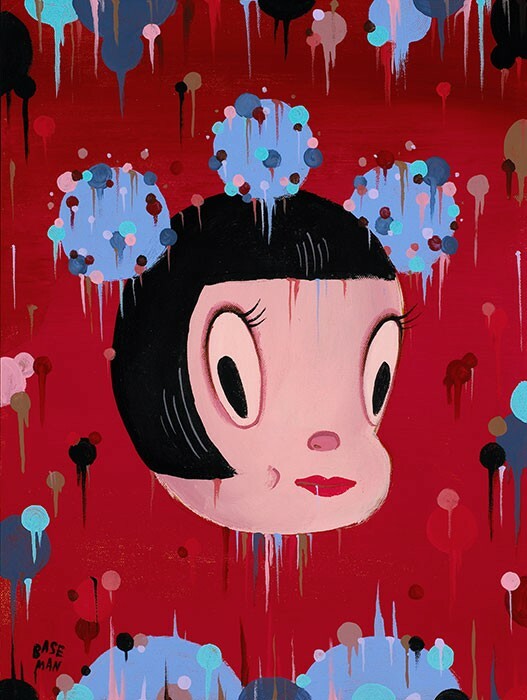 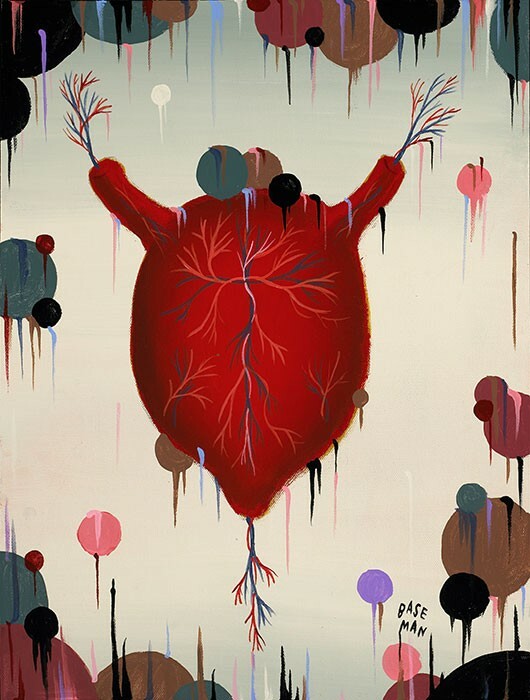 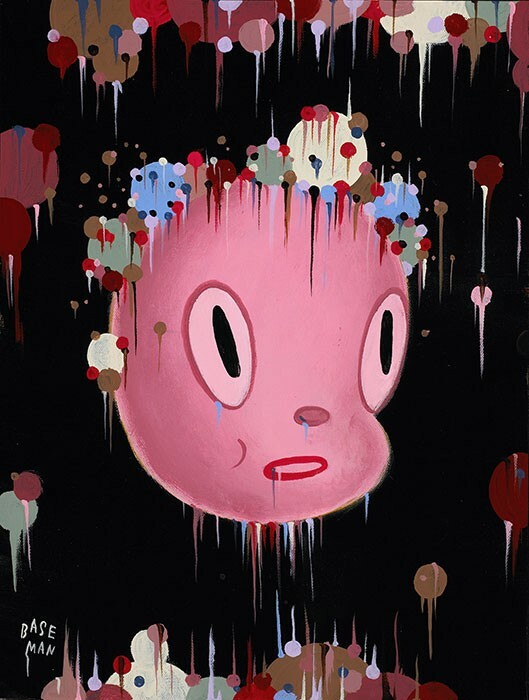 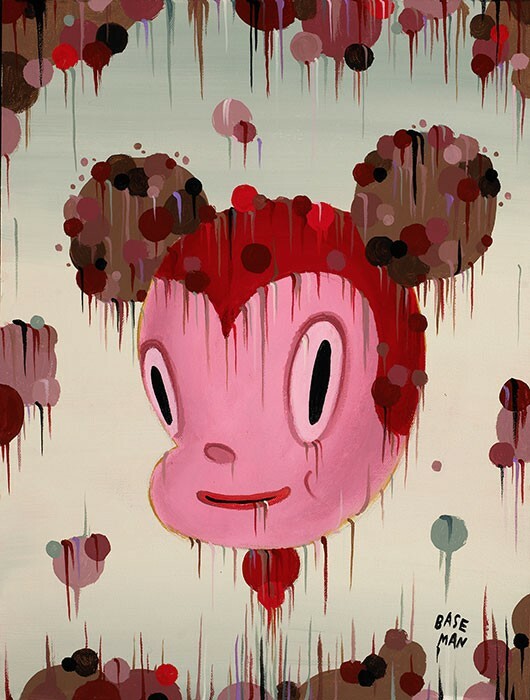 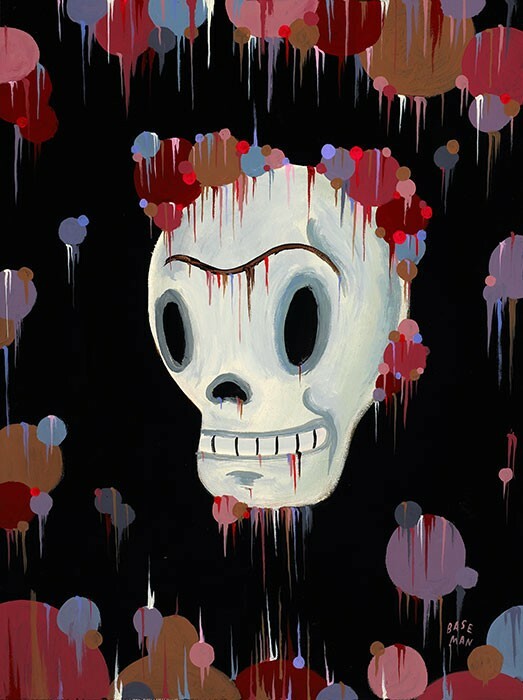 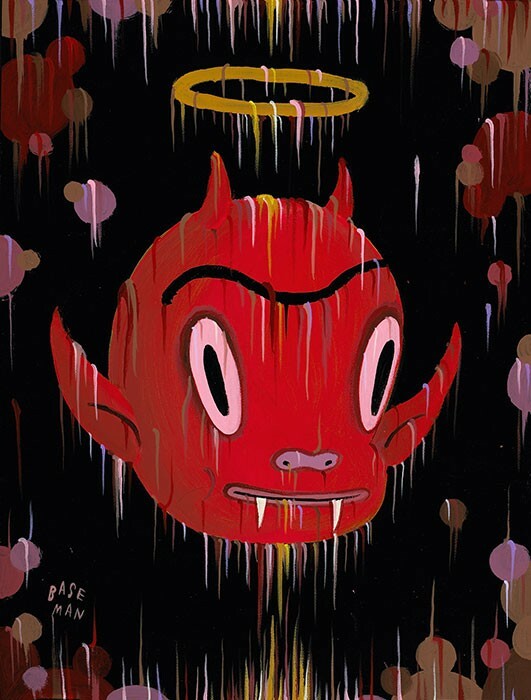 In 2008 Baseman opened his solo show, Knowledge Comes from Gas Release, at Iguapop Gallery in Barcelona, Spain. 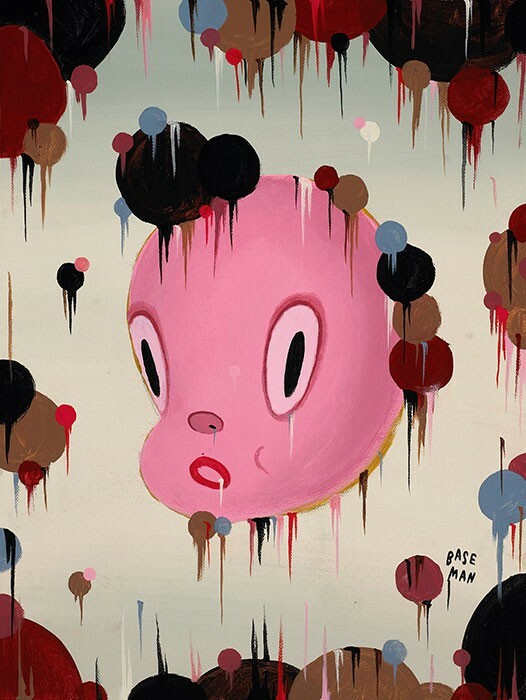 In this exhibition, Baseman challenged himself to understand the aesthetic nature of his subject matter, dealing with a sense of abstraction. 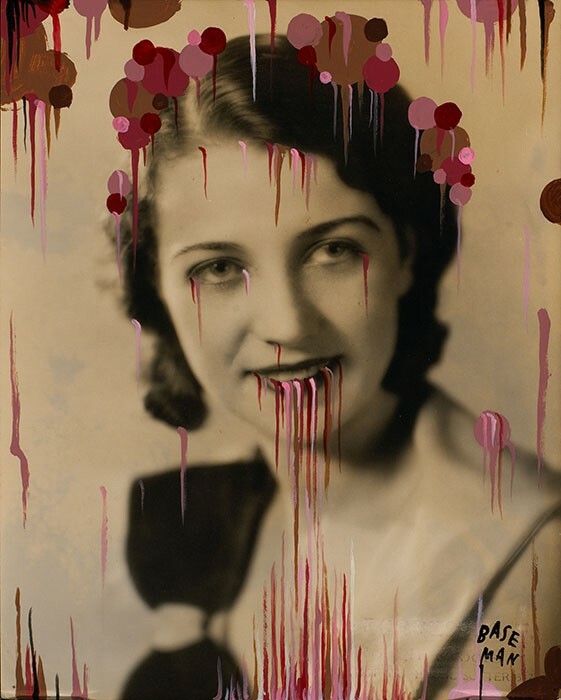 He maintains the iconic nature of his work, removing the environment, the background, and the narrative while concentrating on the portraiture. 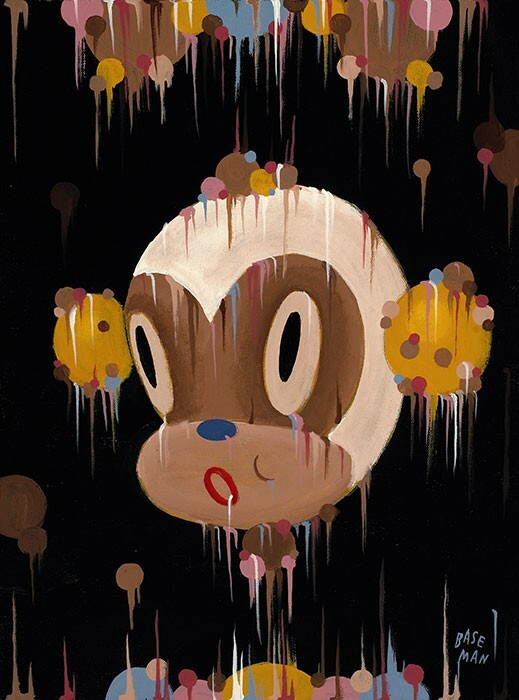 The M.O.D. 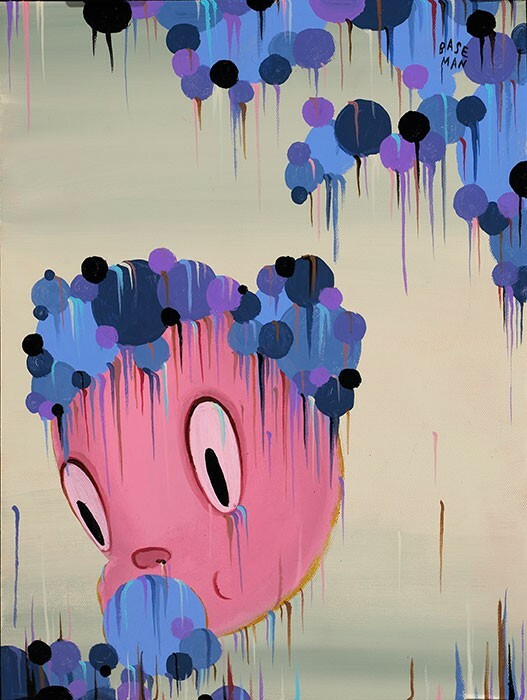 (Manifestations of Desire) bubbles become part of the figures themselves – becoming the hair, a hat, flowers – and Baseman lets the viewer interpret it all.